This research examines the activities of ten MNE Moroccan subsidiaries following the Arab Spring. Through onsite subsidiary interviews and site visits, along with analysis of public and corporate documents, the research explores how the MNE subsidiaries sought local legitimacy, through institutional work. The study finds that the subsidiaries strategically used CSR to respond proactively in their host environments during a period of institutional instability. These CSR actions ranged from the informal to the formal, from engagement with local actors to the introduction of new corporate CSR standards and practices. 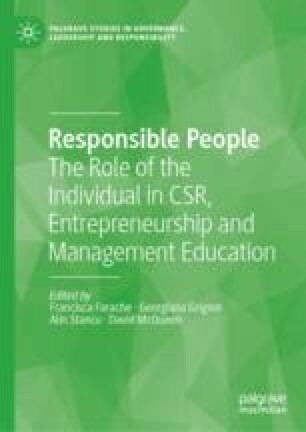 The findings suggest that CSR as a form of institutional work is an effective response to institutional change caused by social movements, benefiting not only the MNEs themselves, but also society in general. How much experience do you have working in Morocco or in another emerging market? Is the multinational enterprise a wholly owned subsidiary? To what extent are decision-making procedures influenced by the parent company? How long has the company been operating in Morocco? What are the main projects of the subsidiary in Morocco? How many employees does the company have in Morocco? What is the proportion of local stuff versus expatriate staff? How does the company manage the challenges that it encounters? What are the subsidiary’s most important relationships (ex. customers, suppliers, politicians, NGOs, other subunits, parent company)? How does the company manage these relationships? How does the company manage relationships with political/government units? Do they present opportunities/challenges? Does the company belong to an industry, trade, or business association? Do these relationships allow the company to overcome some of the obstacles to doing business mentioned above? In 2011, the Arab region experienced political and economic instability due to the ‘Arab Spring’ events. Did these events have an impact on how the company managed its relationships with key actors? If so, how? I saw on your website that you have established (x) program to assist in the development of the country. What other kinds of social activities does the company have in Morocco? Please provide examples of these programs. Did the company undertake more social activities after the Arab Spring events? How does the company view its future operations in Morocco? Are there any major concerns in terms of the social/governmental environment for doing business in Morocco? Lewis, Aidan. 2011. Why Has Morocco’s King Survived the Arab Spring? BBC News Middle East. November 24. Accessed June 12, 2018, http://www.bbc.com/news/world-middle-east-15856989. World Bank. 2012. The Challenge of Youth Inclusion in Morocco Article. May 14. Accessed June 12, 2018. https://www.worldbank.org/en/news/feature/2012/05/14/challenge-of-youth-inclusion-in-morocco.